In the past wind power plants typically had a small power rating when compared to the strength of the connected electrical network and the behavior of the wind mills during faults in the network was considered non critical and wind power plants were simply pulled out of the system. Hence protection requirement of a wind mill was just restricted to simple current and voltage based measurement. This paper identifies the areas of concern where proper protection has to be introduced apart from the basic wind park requirements. 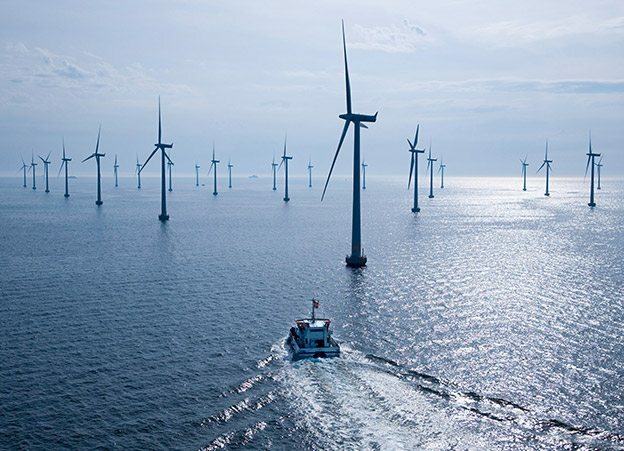 Owing to the increase in demand for renewable energy large wind parks are constructed in deep seas. Such wind parks are connected to the electrical grid on the land by comprehensive underground cables. The underground cables are a potential for a fault occurrence. The next area of concern would be in the multiple mechanically switched capacitor banks or FACTS used for dynamic reactive compensation. The voltage flicker produced by large wind parks owing to the varying speed of the wind mills on the interconnected grid has a deteriorating effect on the other connected equipment and also on the grid as well. To maintain voltage stability as per NERC guidelines and to mitigate voltage flickers, dynamic reactive compensation can be provided with multiple mechanically switched capacitor banks or FACTS. Therefore the paper will discuss in detail the protection possibilities for the underground cables and the reactors for large wind parks located offshore. Introduction and analysis of the various electrical fault possibilities in an offshore wind park. Detection and prevention against Ferro resonance due to inductive reactance introduced by wind generators, reactors and capacitive reactance introduced by the long running cables and capacitor banks. Automatic fault collection and analysis, and its benefits.